Yes, I know. Last Thursday was the day for the pundits to comment on the National government’s 2012 Budget. But I can think of few things more soporific than stimulus packages or more boring than budgets, and last week’s Budget was even duller than usual. David Farrar has a summary of 2012 Budget highlights. See what I mean? But there is one aspect of the 2012 Budget—not mentioned in Farrar’s list—that should be highlighted. It’s the $78.5 million Finance Minister Bill English allocated to IRD audit. Thanks to atheist Mark Hubbard over at Life Behind the Iron Drape for bringing this to my attention. Here’s his blog post in full. Zero budget – no. Nazi budget -yes. In New Zealand’s 2012 budget, Bill English just grew the fascist thug state by an extraordinary extent. The money allocations to health and education sounded like a Labour Party lolly scramble; there is in this budget only the further expansion of the state. As Clive James said of the Soviets, they thought they had free health care, but it ended up costing them everything they had. Well English just imported that hollow ethos to New Zealand. Significantly, the first money allocation in Herr English’s speech was a huge $78.5 million to IRD audit. Now move your eyes up and read my blog by-line again. Read it, the paragraph in italics: understand what is funding every other allocation to the state. $78.5 million into the systematic persecution of this country’s productive, who, unlike this government, haven’t lifted a finger to initiate force on their fellow man. Bill English, please take this personally, you are a true National Socialist: you are my enemy, as you are the enemy of all free men. I suggest you wear a brown shirt to Parliament from now on. I’m too angry to write anything further. When will there be the Western Spring, to wrest our liberty back? Visit Mark’s blog to read his blog by-line. Here’s his disclaimer. Disclaimer: If you pay anything other than the correct amount of tax – as hard as that can be to calculate under our mess of tax law – then you’re a bloody idiot. The state will squash you like a bug. The Western Spring may be sooner than we think. That the State is allocating an additional $78.5 million to the task of squashing tax defaulters like bugs suggests that socialism is already starting to run out of other people’s money. 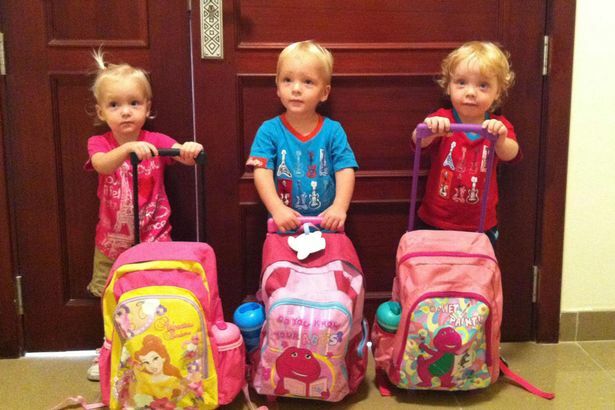 What words can sooth such agony as suffered by the parents and families of ‘Two-year-old Lillie, Jackson and Willsher Weekes [who] were among the 13 children killed in the fire which broke out in the Villaggio Mall in Doha.’ ??? Though the pain I feel upon hearing of such tragic yet distant events cannot be compared with that of their kin, Tragic news like this kills me. I die a little every day. We read that among the causes were, gross human errors, malfunctions, and callousness, yet ultimately people wonder why God Almighty allows such horrific things to happen to innocent children? As a Christian I know why. The Bible has the answer, yet today I simply wish to pray to the Lord, that he reaches out to the Kiwi Parents of these beautiful children, and the others whom lost loved ones in this tragedy… that he does not allow their hearts to become hardened and hateful, that he takes pity upon them, and has mercy upon them, and draws them near unto himself, that they might find peace and hope in his presence. Here we have some Anti-American Propaganda. Looking at such a shocking reality… and the story that has been attached to it is a test of ones convictions. Let me state that I don’t buy into the argument that they are selling. 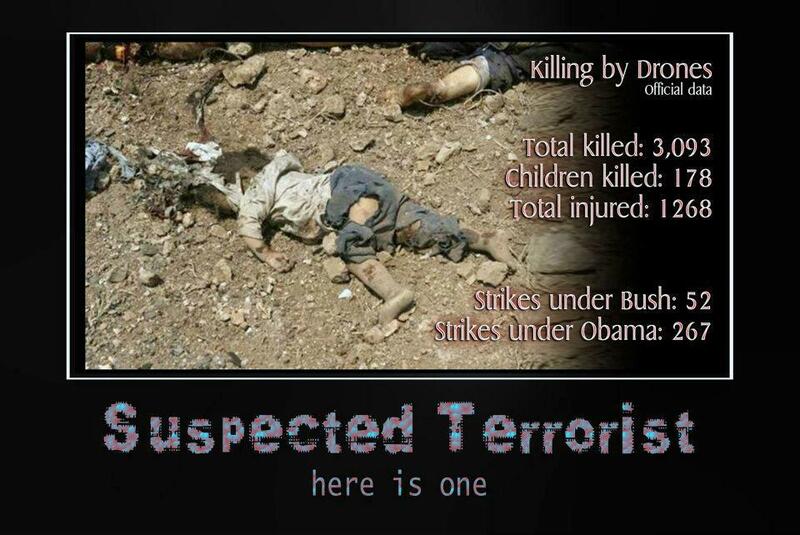 Let me state that it is possible to hate War, yet still support America’s combat forces in Afghanistan and Iraq. …yet still it is easy to apprehend the futility of it all! The magnitude of Mankinds Foolishness and evil. Just how Far We have lost our way! The Bible teaches us that the very first Man born of Fallen Adam… in jealousy… murdered his own brother! And that as Mankind Multiplied upon the Earth so too did violence. This Propaganda Photo teaches us one very important thing. That the Bibles claim that Mankind is a corrupt and fallen race of beings is absolutely true! It is validated every single day! Mankind is *not evolving*… not becoming less like beasts at all. In such a world as ours… filled with violence and Evil, who has the right to be happy? They say this because thats the best answer they can muster. For Me that’s no answer! For Me that’s utterly tragic! I simply don’t know how people can go through life with that kind of view of reality! It is the answer of a Lost soul! I am so grateful to have found the Hope that is in Christ! I don’t have write off all the evils I see about me as nothing. I don’t have to look at that picture and not believe things ought to be different. And I can do something about it! The Christian answer to that question is that in a world such as this we ought to appreciate Everyday that our nearest and dearest remain safe and well… and Praise the Lord with thanks giving for his blessed Providence. And in those terrible days that must surely come upon us mortals, that our Loved ones are taken from us, let us be thankful unto the Lord for the relationship we enjoyed upon this rock in space…and the time we had to share and enjoy… and that all is not in vain! We Christians have that blessed hope of being reunited with our loved ones in heaven! This hope rests in the power of Christs Resurection. Let us be busy preaching The Gospel which alone can bring salvation to mankind, one individual at a time. Let us Celebrate with those whom celebrate, and shed tears with those who cry… and most of all let us live by faith and Hope that is in Christ our Lord. We know the sad truth that only a minority of lost souls will receive the free gift of Salvation, thus let us pray that Christ returns swiftly. We know that until that day dawns, that we shall need to take up arms and defend ourselves from evil powers and principalities, and spiritual wickedness in high places.. and that tragically innocent little children will suffer the most. Let us spread the Light of Libertarianism, of Tollerance, of Equality before the Law, of Voluntary Charity, and Association. I have hopes that my Baby boy, and grandchildren live long and happly lives, yet would I wish the Lord to tarry… while millions of innocent children suffer? No! I pray for the swift return of Christ! Return O Lord! Prince of Peace and righteousness! We Human beings cannot Rule ourselves. We have utterly ruined the world. Our Children lay dead from our violence and hatred. Mankind has rejected your Light! And give us the courage to boldly preach your Gospel of Grace with what time remains. “For God commendeth his love toward us in that while we were yet sinners, Christ died for us”. “Whosoever shall call upon the name of the Lord shall be saved”. If ‘property rights’ is the answer, what’s the question? (1) Tangible, “value added,” goods. The answer in each case is the same: privatisation. The institution of private property—which is a societal convention—accords people property rights in tangible goods and land. Tangible goods to which value has been added are the products of someone’s effort. Other things being equal, we give ownership of the goods to the person who produced them. According to our property conventions, you get to keep the fruits of your labours. What about so-called “intellectual property”? Should a free society give ownership of ideas? There’s no disputing the fact that good ideas are (almost) always products of someone’s intellectual effort. And there’s no disputing that good ideas are (almost) never thought of simultaneously. Take any good idea, and there’s (almost) always someone who thought of it first. And, what’s more, it’s (almost) always the case that the person who thought of the good idea first is someone who put in the intellectual effort required to come up with the idea. So, other things being equal, why not give ownership of the good idea to that person, perhaps by way of copyright or patent? Why not? Because, in the case of ideas, ‘property rights’ is the answer to a question we don’t need to ask. 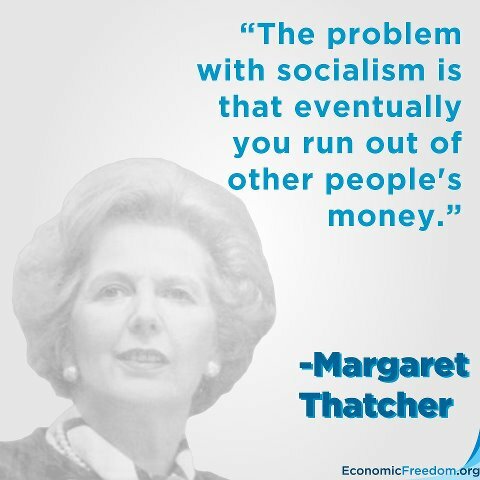 In a free society, ideas are not scarce resources. Tell me what your good idea is, and I have it too. Ideas can be copied. They can be copied ad infinitum. Ideas aren’t scarce. The notion of “intellectual property” is bogus. The correct account of the nature of property is the scarcity theory of property. The production theory of property is flawed. Here’s a counter-example to the production theory of property, a third, less common, example of a scarce resource. (3) Radio frequency transmission bands. If you and I broadcast our radio shows on the same radio frequency band in the same geographical area, our transmissions interfere with one another. The solution to the problem is, again, privatisation. There’s actually a legitimate role of government here—to endorse, and to enforce the rulings of, an independent body that grants exclusive use, in a given geographical area, of scarce radio frequency transmission bands. On the basis of … what? Fairness? Not on the basis of first come, first served. And certainly not on the basis of the production theory of property. You can’t produce a mathematical range. And you can’t be first to use a set of numbers. This is my final post. Why? Because the world ends today. What better way to end it than the way it all began? With the very first heavy metal song. The track is Black Sabbath from the album Black Sabbath. The band is Cultura Tres, leaders of the New Wave of Venezuelan Psychedelic Doom/Sludge Metal. I’ve scheduled a post for tomorrow. Just in case. If I’m still here Tuesday, I’ll resume blogging. Here’s a snippet of a conversation I had earlier today. C: You’re a christian, so of course you believe in a disembodied consciousness. Me: That’s a non sequitur. C: You’ve got me beat then. I’ve never heard of God having a body before. C: Well yes, but God was around before Jesus. C: And that’s supposed to tell me what? That God had legs? God was the creator of the Universe, apparently, so he was around before there was any need for legs, before there even was legs. I find it hard to get my head around the idea of a disembodied consciousness. I’m pretty sure that my consciousness can’t be disembodied and remain … conscious. As for the mind of God … I have absolutely no idea. Anyway, in an apparent synchronicity, blogger Glenn Peoples posted an excellent post today on something he calls minimalist Christianity. Here are a couple of paragraphs (but do make sure to read the whole thing). Every time I have made this observation, I have been met with almost immediate misunderstanding, so let me labour the point: Nothing that I have said here implies that Christians should believe as few things as possible – or even that it’s a good thing to only believe the bare essentials. I think holding a lot of bad theology is bad for you. It has “knock on” effects into other things you believe and do. When I talk about theology at the blog and podcast, hopefully I make it obvious that I do care about what I believe – and what others believe too – beyond the bare essentials (just as a dietician cares about what you eat beyond the bare necessities needed to keep you alive). There is much growth, intellectually, spiritually and practically, in moving beyond the bare essentials of Christian thought and into the riches of biblical theology. But I have become convinced of this: The acceptance of the Christian faith does not require that anyone shares your convictions (however important they might be to you) on everything you believe that you have found among those riches. The post in its entirety is well worth reading. Thanks, Glenn. P.S. Don’t expect Paul’s advice not to get into “foolish controversies over doctrine” to be taken much notice of around here! A five-year-old kid from Minnesota has patented a way of swinging on a child’s swing. 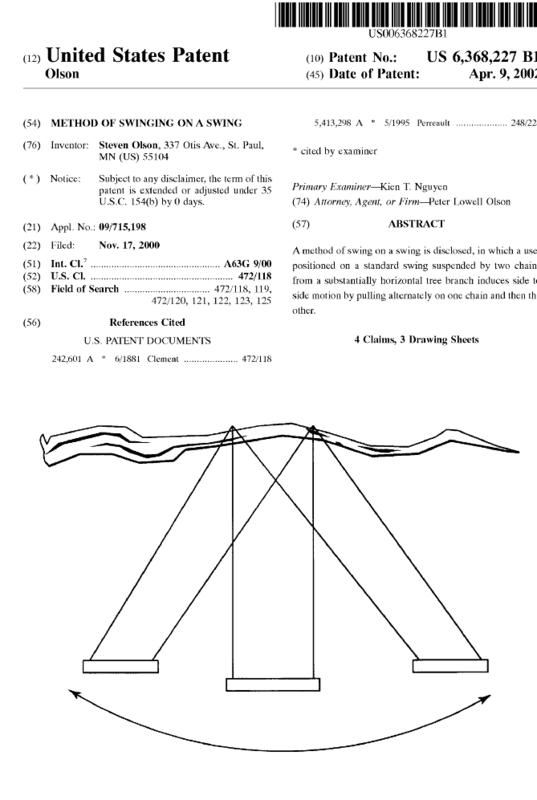 The US Patent Office issued patent 6,368,227 on 9 April to Steven Olson of St Paul, Minnesota for a “method of swinging on a swing”. Olson’s father Peter is a patent attorney. “A new method of swinging on a swing would therefore represent an advance of great significance and value,” it reads. 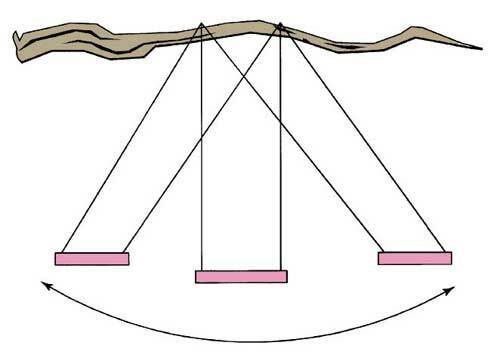 Olson’s alternative is to pull on one chain at a time, so the swing moves towards the side being pulled. Peter Olson told New Scientist: “I had told him that if he invented something he could file a patent.” His son had not seen sideways swinging because the swings at his school are closely spaced, so he asked his father to file the application. The patent office initially rejected the application for prior art – citing two earlier patents on swings – but Peter Olson appealed, noting that neither was a method for swinging sideways. The patent was then issued. The US swing patent does not match an Australian patent on the wheel for sheer absurdity. However, in that case, an Australian lawyer was able to sneak the wheel patent through a fast-track application system. The US patent went through the full application procedure. Peter Olson says he was not trying to prove anything, just show his son how inventions and patents work. The Australian lawyer who received a patent on the wheel was trying to point out how poorly the system operated. The swing patent could face reconsideration at the request of the inventor, third parties, or the patent director. When the laughter stops, silly patents filed by individuals are less a problem than trivial ones filed by large corporations, says Gregory Aharonian, publisher of the Internet Patent News. 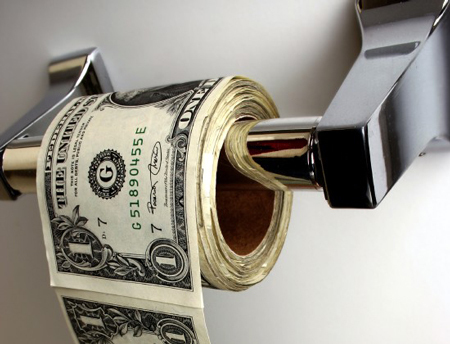 As an example, he cites US patent 6,329,919, a business-method patent issued in December 2001 to four IBM developers for a system that issues reservations for using the toilet on an aeroplane. 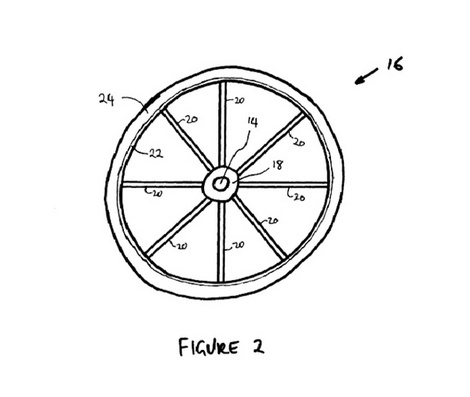 An Australian man has registered a patent for a “circular transportation facilitation device” – more commonly known as the wheel. Melbourne patent lawyer John Keogh said he registered the patent to show flaws in an intellectual property law that came into effect in May, the Australian newspaper The Age reported. The new law established the “innovation patent” system, which Mr Keogh said did not require sufficient oversight from the patent office. The new innovation patent can be prepared without professional help and only requires claimants to show “innovation”, not “invention”. Mr Keogh said it represented the government caving in to claimants who said it was too expensive to obtain a standard patent. “The government decided to find a way to issue a patent more easily,” he said. But Commissioner of Patents Vivienne Thom said: “To obtain the patent the applicant must make a declaration that they are the inventor. “Obtaining a patent for the wheel would require a false claim, which would certainly invalidate the patent,” she added.